Genuine digital photography taken in red light, no photoshop you want to know something? ask us! Psychic photography is the art to catch energy on film,or a digital medium. Psychic photography is a very old way and since the beginning of the photography it has always have been a polular item . To get your pictures with some supernatural extra added to it was hot to have in the midst of the 19th century. Some spiritual mediums did have the gift to take genuine spirit pictures and those were very rare. Although the spiritworld have always done their very best to show themselves not only on film but also in real life through physical mediumship in full size materializations, people who were not able to attend these séances, would love to see that there is indeed a higher life. Unfortunately some people saw a growing market and extra pennies for gaining some daft pictures showing people covered in sheets as spirit extra’s and people used an old technique in mirror projectors and dubble developing was not a rare habit to get the right extra. The picture’s you see on this page are genuine and taken by me including some spirit extra’s and some orbs, energy swirls, lightbolls and whole faces. The pictures are taken in my own house or while I was on the move for my work; Often I have used a red light to obtain best effect in energy. Being a trancemedium myself I cannot guarantee any result or force something to happen.I use a small digital camera from Canon and I relax and unwind and let spirit take over. No photoshop or any filters are used so we can show you unique pictures. Most of the time I sense when the energy is right when I have to take a picture and I rarely see things in advance . I don’t see what the eye of the camera is taking. A lot of people can work with photography and might have the same results but I am very aware that in my region I am the only one with this kind of work; Here in Belgium people are very sceptic and not yet ready to be open for psychic photography. Spirit does excist you are a spirit yourself in a physical body and you will witness the truth the very latest after your own physical passing. Please be more open to investigate and to be willing to considerate there is more to watch if you have a closer look. The pictures on this page have their own story and do you like to know the story please let us know so can be our next ghost host? And know you are never alone , even you think you are when you are physical on your home in your livingroom. Don’t be afraid. It’s sometimes our ignorance and lack of knowledge and fear to lose control that is our worst enemy. In the past people thought the earth was flat. 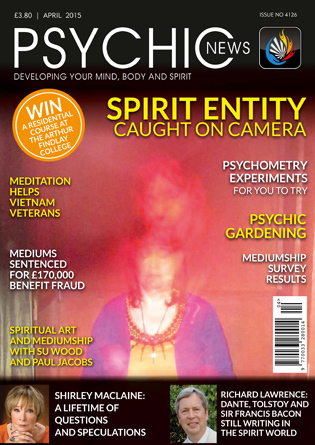 If you have questions about psychic photography ,join us . The pictures are copyrighted. No photoshop. I know that some people question spirit photography and I can understand why they do. I like to stress out and confirm that the pictures on this website are genuine and not photographic remakes or photoshop interferences. I know when and where they were taken and when I was alone or when people were with me, results kept coming. Red cloud and F. Bulsara are coming to see Isabelle as well other people which are less famous and also wanting to let us know they are not dead. Psychic photography pictures can be seen on this website are copyrighted. A lot is being said about the amazing mediums from our past. These brave men and women who gave all their energy and time to the world of spirit. To help us human beings in understanding that there is no death. To build the bridge between the 2 worlds and to help the people here and beyond. Isabelle give 2 examples of 2 different persons who from time to time comes around to assist Isabelle in her work. Spirit comes to her and Isabelle has in no way any control in how often she is receiving these visits. Over the years Isabelle have been given evidence in messages, so called coincidence meetings and visual proof that spirit is with her. As a psychic photographer, Isabelle is learning to develop her ability to take pictures from the spirit persons who are visiting her.